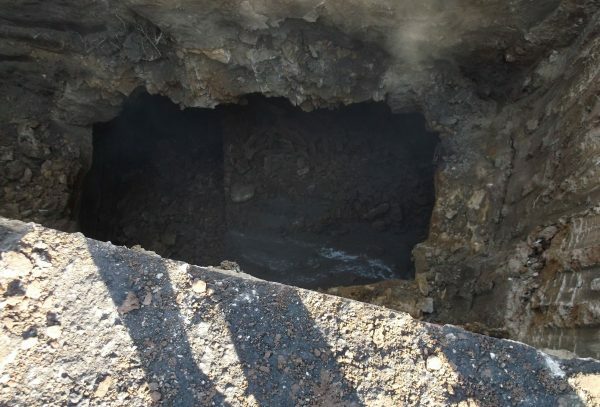 Shortly after starting work on the 800 Commercial Streetscape Project, workers uncovered a sizable underground void near the intersection of 7th and Commercial in downtown Atchison. 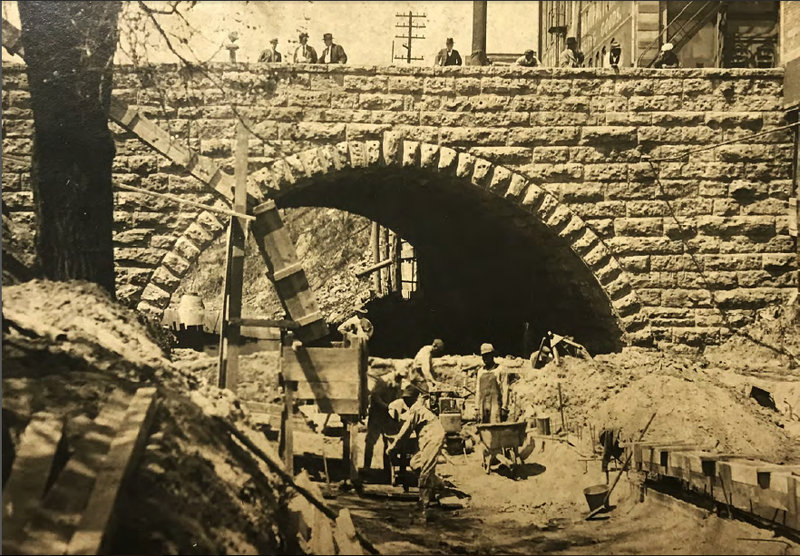 While in the process of installing new stormwater infrastructure, excavation work punctured what proved to be an old arch bridge structure. 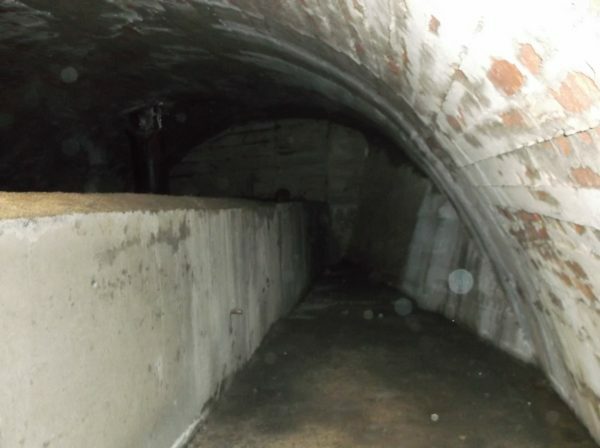 The void existed under the arch, as seen in the photographs below. 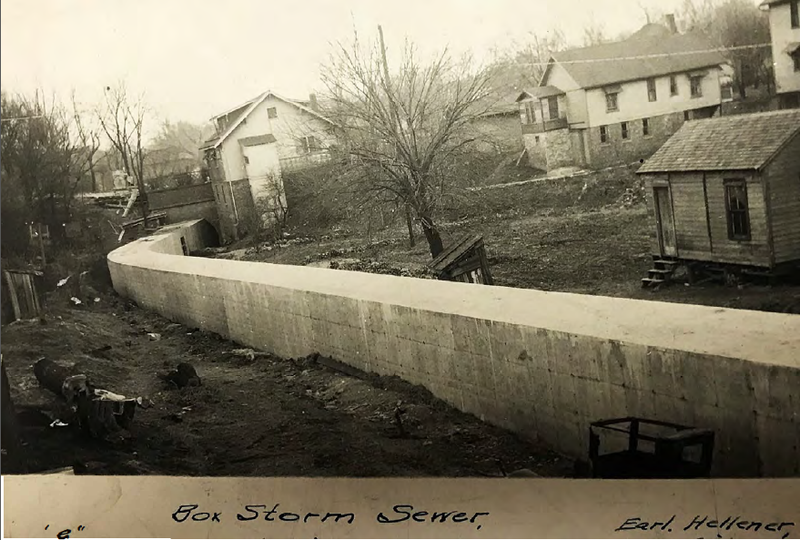 Many Atchison residents are familiar with the creek that runs through Reisner Park (10th & Kearney). Nearly a century ago, that same creek ran overland all the way across downtown and into White Clay Creek, passing underneath bridges at each street crossing along the way. 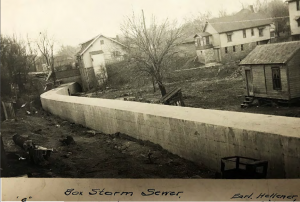 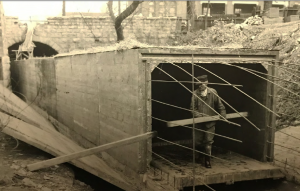 In the 1930’s a major infrastructure project encapsulated that creek underground with concrete box culverts. 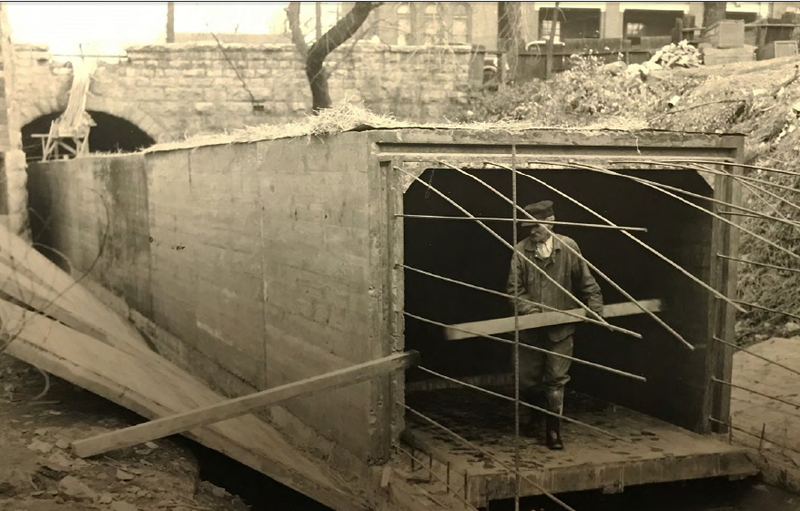 Rather than fill in the void under the bridge crossing at Commercial Street, and perhaps at other locations along the way, the concrete box culvert was simply installed under the old bridge. 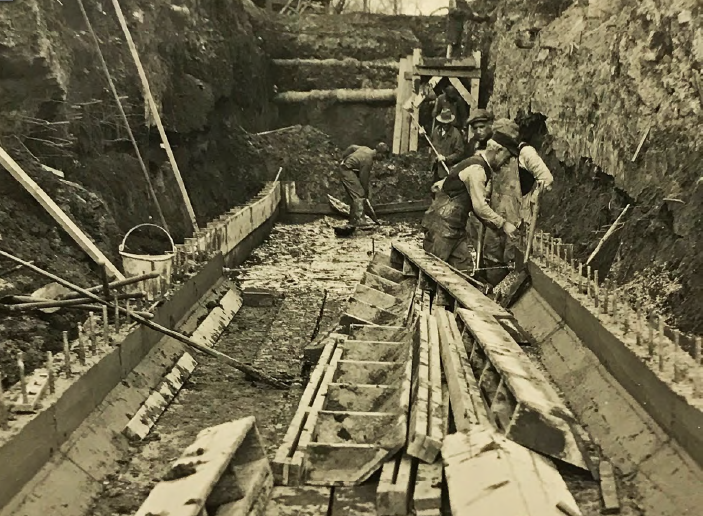 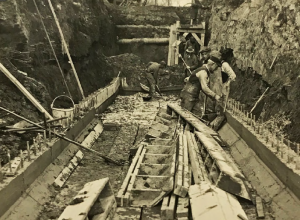 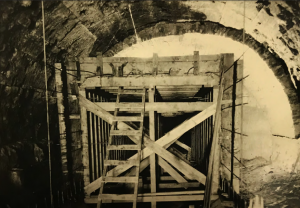 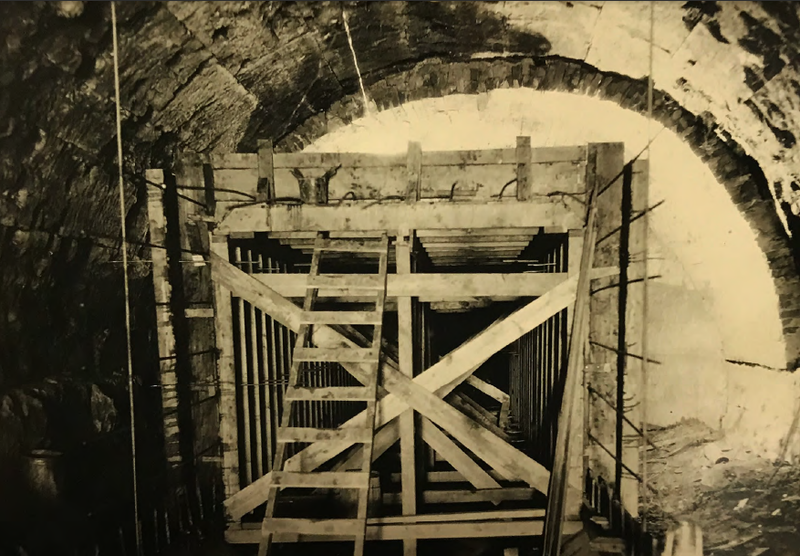 After searching City records, a handful of photographs were discovered of workers in the 1930’s constructing the concrete box culvert that originally diverted the creek underground. 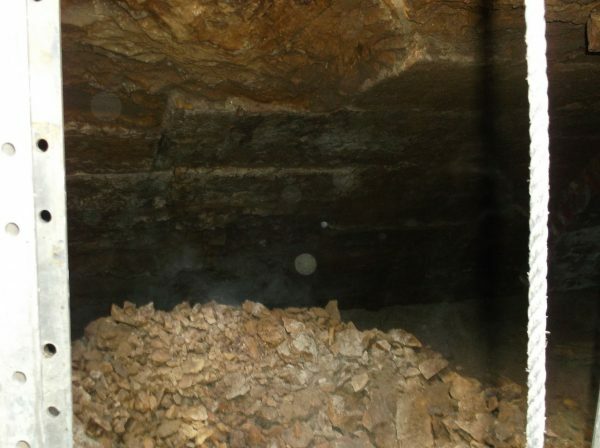 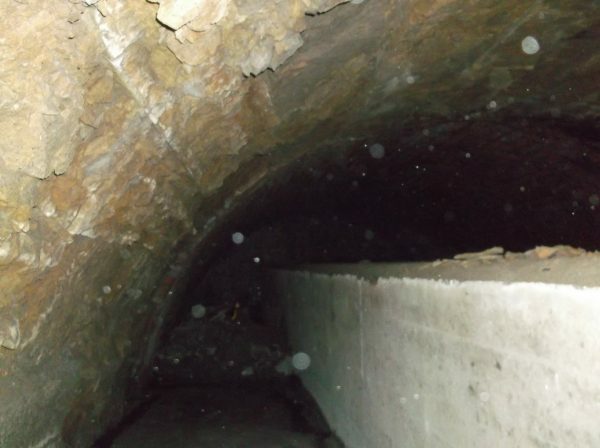 The photos clearly show the box culvert being installed under arched, stone bridge structures. 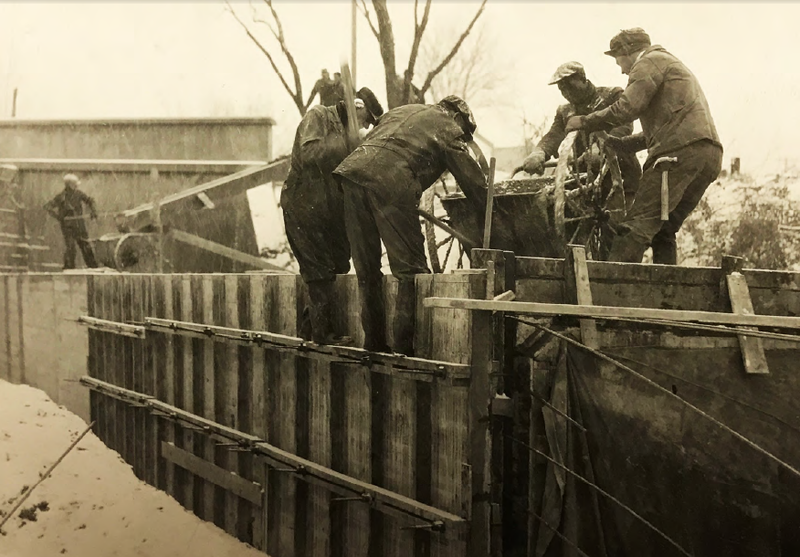 Prior to moving on with the current project as scheduled, workers filled the void with flowable fill, a stable and economical and self compacting mixture to ensure long term structural security.